Central air conditioner prices, like most other durable good in the USA, were actually falling in 2010, and the trend continued right into 2011. This is primarily caused from the long lasting slowdown in the economy and the need to encourage consumer spending. Fortunately for consumers like you, this means 2011 central air conditioner prices are just as good of a bargain, if not better, than they were last year! Just like the brand of central air conditioner you choose, the air conditioner size you need is going to add a variable into the final air conditioner cost. The larger the unit – the more it will cost! 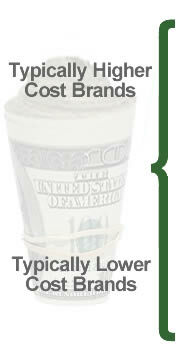 The general understanding when it comes to size and cost, is that bigger cost more! Not hard to realize for sure… larger central air conditioners need more steel, aluminum and copper, therefore they cost more! Air conditioner efficiency, or how well it makes use of the energy it consumes while it works, will also have an effect on the central air conditioner price you pay! This is measured by a standard called SEER, or Seasonal Energy Efficiency Ratio. Just like the size of AC system affects price, the seer rating will do the same. Higher SEER will Cost More at Time of Purchase. Higher SEER will Cost LESS to Operate, Thus Paying You Back for Your Investment! The general rule of thumb on where to spend your efficiency dollars, lies in what you use most. If you live in Michigan for instance, where you only use the air conditioner for 2-3 months out of the year, you will not likely get any return on your high efficiency air conditioner investment. Someone in Florida though, who uses the central air conditioner for 10 months out of the year, will regain the higher efficiency cost in just a year or two. We have a large and growing list of articles submitted by users just like you. Please browse through the last 10 other central air conditioner prices, located to the right, in the sidebar. Feedback from Readers Like You! Have you recently purchased a new central air conditioning system for your home or business? If so, please feel free to share the cost of the system by using our contact form. You never know, your feedback could really help us advance our information!